As cybersecurity’s importance grows among organizations, a new role that has emerged and is in demand across technology companies is that of cybersecurity first responders (CFR), who are increasingly being hired at junior and mid levels, according to HR experts. These professionals are the first line of defence when an organisation is under a cyber attack. Along with that they are responsible for defending organisations from potential cyber attacks as well as investigate these when they happen. Experts tracking the space say there are certified courses available to become a CFR. Just like how fire drills are performed in organizations, CFRs are trained in how to safeguard systems when under cyber attack, elaborate the experts. Industry experts say, CFRs are the most skilled professionals at the moment. Global in-house centres (GICs) and other IT consulting companies are hiring CFRs at junior to mid-levels with two years of experience for an average salary of around Rs 15 lakh. Professionals with 2-3 years of experience draw upto Rs 20 lakh annually while someone with 5-8 years of experience is offered anywhere between Rs 35-40 lakh, annually. CISOs on the other hand now earn in excess of Rs 2 crore. Experts say that cybersecurity professionals now seek 50-100% salary hike while the average salary hike a year ago was at 25%. Some of the top companies to hire cybersecurity roles include IBM India, Infosys, Dell India, HP India, Amazon India. The other job roles that are in demand in the cybersecurity sector are that of network security engineers, cybersecurity analysts, security architects and chief information security officer (CISO). “IT firms largely hired CISOs in the first wave of cybersecurity hiring 2-3 years ago. This was followed by private BFSI firms recruiting or dedicating CISO roles, then public sector banks came into the picture. In 2018 we have seen non-IT, BFSI companies (FMCG, pharma, retail, manufacturing) recruiting CISOs along with a new demand for CFRs,” says Kamal Karanth, co-founder of HR consulting firm Xpheno. A PWC report said that over 80% companies now have a CISO in the management team. “There are many shifts which are happening on the cybersecurity front like the formalisation of the CISO role which is seen across all industries. Also, CISOs now directly report to boards instead of CIOs,” said Anil Bhasin, VP India & SAARC – Palo Alto Networks. Talking to ETTech, Vishal Salvi, CISO at Infosys, said, “The cyber security industry has been growing much faster than the IT industry. However, one important trend that we see is that clients are facing a major shortage of highly skilled trained people who solve such security challenges.” These industry insiders sayd cybersecurity professionals are hired at nearly 100% hike these days. “Overall, the cybersecurity space in India has been gaining momentum with the growth of startups, in-house cybersecurity operations and IT services which are expanding their offerings in the space. These companies are reporting a growth of 50-60% in their revenues from this segment. This is why they are expanding their hiring at campus placements and mid-levels, “ says Rama Vedashree, chief executive officer at Data Security Council of India. As per, It industry body, Nasscom, Data Security Council of India & PwC Report the cyber security market in India has been projected to be $35 billion by 2025. Currently, more than 30,000 cybersecurity jobs are available, say the HR experts. Job portal Indeed reported a spike of 150 percent in cyber security roles between January 2017 and March 2018. Apart from this, the other jobs that are among the top include data scientists, artificial intelligence engineers, cloud architects along with cybersecurity experts. 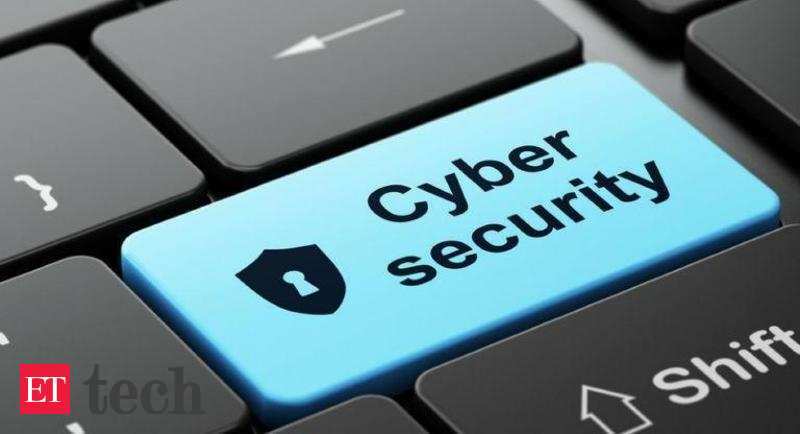 Cybersecurity experts saw an average salary of around Rs 22-32 lakhs, according to a report by edtech firm Simplilearn.